In early May of 1935 Bill Wilson frantically called the numbers of random clergy members while in a panic at the Mayflower Hotel in Akron, Ohio. A hopeless drunk with a little bit of sobriety time under his belt, Wilson was in town after a business deal fell through and was dealing with the incessant beast of alcoholism slowly whispering in his ear. Threatened with depression and staring at a bar full of lively, happy people congregating around the drink he loved so much, Wilson knew he must find another drunk to work with or fall prey to the obsessive thought of a drink that was slowly creeping into his mind. As luck (or serendipity) would have it, Wilson spoke to a Reverend Tunks who in turn put him in touch with Henrietta Seiberling, a local member of the Oxford Group. Knowing the perfect hopeless drunk for him to speak with, Henrietta introduced Bill to Dr. Bob Smith. After several failed attempts at sobriety and one surgical incident that could have turned out very bad for the poor, unknown patient having a proctology procedure performed by a drunk doctor, Dr. Bob sobered up and had his last drink on June 10, 1935. That date is now known as the anniversary of the founding of Alcoholics Anonymous. That chance meeting 79 years ago, through the seconds and inches of time, has affected more people suffering from addiction than any one single event in the history of the world. Alcoholics Anonymous regularly faces opposition from those who do not understand it, who do not believe in it or who think it doesn’t work. It has been called cultish, voodoo and religion masquerading as spirituality. It has been berated by professionals of medicine and psychology. It has oddly become a “catch all” for people that probably don’t need to be there. The criminal justice system, the legal professional, doctors and even addiction treatment centers often use AA and it’s meetings as continuing care or aftercare or as a punishment for those people having some type of issue with drugs or alcohol. Get a DUI? Have to go to AA. Caught drinking on the job? Go to AA. Ever go to a rehab or treatment center? Have to go to AA. Unfortunately, Alcoholics Anonymous was never meant to be a net that caught every fish that ever had an issue with alcohol. Alcoholics Anonymous was the last stop for those people who were killing themselves with alcohol and still couldn’t stop. 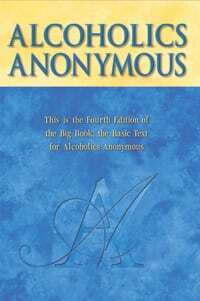 Alcoholics Anonymous was meant for those who had a love affair with alcohol, who tried every method of self-moderation, therapy and treatment to stop and for whom NO OTHER METHODS had worked. Alcoholics Anonymous was for those people who needed a spiritual experience or a spiritual awakening in order to stop drinking and stay stopped, because it seemed as thought no human power had been able to relieve them of their alcoholism. Not therapy. Not treatment. Not medication. Indeed, Alcoholics Anonymous was for the hopeless. Since June 10, 1935, Alcoholics Anonymous has been the most successful means of recovery from alcoholism that the world has to offer. Millions of men and women have recovered from alcoholism through Alcoholics Anonymous and it’s 12 Step program. Millions more have recovered from similar addictions through the fellowships that were born from AA, including Narcotics Anonymous (NA), Cocaine Anonymous (CA), Gamblers Anonymous (GA), Eating Disorders Anonymous (EDA) and hundreds of other 12 Step fellowships. Is AA perfect? Of course not. Are there meetings that are cultish, boring and depressing? Of course. Does AA work for everyone? Probably not. Are many members of AA misinformed that AA is not group therapy for people to dump their problems? Sure. Does the true message of AA often get convoluted or misinterpreted? Indeed. Do the human shortcomings of many members of Alcoholics Anonymous give new people attending meetings a bad taste in their mouth or rub them the wrong way? Clearly. But at it’s core, Alcoholics Anonymous has one message: A hopeless alcoholic, by taking the 12 Steps and continuing to live by those spiritual principles, will have a spiritual awakening as the result of taking those 12 Steps and can live both sober and happy. This message of Alcoholics Anonymous cannot be ignored and it is that simply message that has helped millions of people recover from alcoholism and lead happy, sober lives for the last 79 years.